Moving to a different country: Which bits of my Roland/2Box kit should I keep??! I'm moving UK > USA in the next 9 months and so I'm facing the difficult task of working out which bits of my current music gear (instruments & studio/recording stuff) I can bear to sell and which bits I will probably want to try and take with me. to have a snare with a more responsive 'rim' trigger for cross-stick etc. Anybody have any advice or suggestions on which bits I should keep/take? Do things like the Roland pads keep their value pretty well or would I be able to re-buy pretty much my entire kit at a fraction of the original cost once I get to the USA?? Re: Moving to a different country: Which bits of my Roland/2Box kit should I keep??! Adding rim triggers to Roland pads should be easy. A small piezo glued to the rim and then wired to the "ring/ground" of a stereo jack socket should suffice. All 2box cymbal inputs are capable of 3 zone. BUT... it will depend on the cymbal pad. It worked pretty well with the 2box cymbals because the bell zone was determined from high velocity, the cymbal trigger itself only had a single donut piezo around the mounting hole. Roland (or similar) cymbal I believe you can get Bell/Bow or Bow Edge but not all three. Yeah my current cymbals are that way; I have the 2 x 'crashes' on 'bow/edge' and the 'ride' on 'bell/bow' which seems to make most sense. Ah, Cardiff are ewe?! ... Swansea me! 40 or so miles. Good to make your acquaintance boyo!!! The 3 isn't less powerful, it's pretty much the same thing, just some tweaks. Personally I think they shouldn't have called it the drumit3. 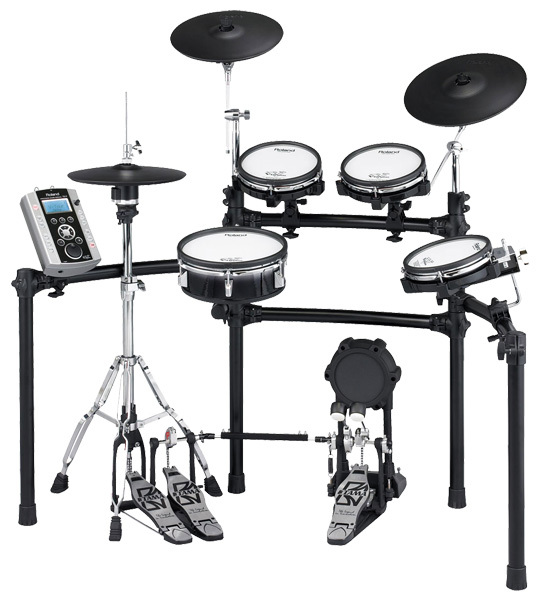 But maybe Drumit5 mk II or Drumit5 plus or something. It has some major improvements and depending on who you talk to, some downgrades. For me, it's an improvement for sure.